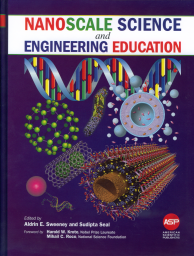 What follows is a developing list of links to web resources for the book chapter on nanoeducation mentioned above. The focus in this chapter is on integrative, rather than specializing, aspects of the nanoeducation experience. According to Aldrin Sweeney, "The discussion provided by Fraundorf and Liu underscores...critical areas in which further NSEE research is to be expected." Variable size-scale adventures w/some "views from asmall". Intro slides for a group discussion of nanoscience in everyday life. Splash Screen for St. Louis Science Center's Cyberville Nano. Notes on emergent content courses/resources. Biovisions visual/audio narrative about white blood cells. Planets and stars in scale with music. 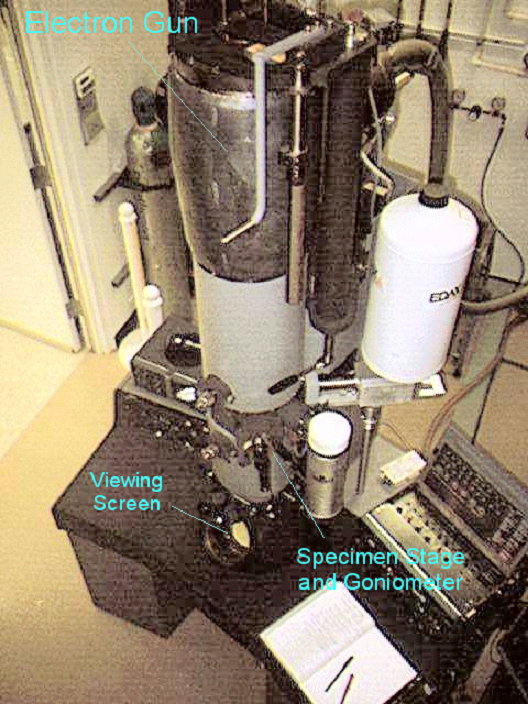 UNC's nanomanipulator at Chapel Hill. Nestor's telepresence microscopy pioneer site. Hopelab's reMission game for helping kids fight cancer in the bloodstream, lymph nodes, and spine. 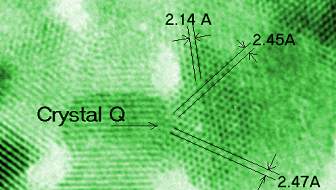 Ireland's Gaeilge nanoquest for nanoparticle forces, graphene, AFM, and eukaryotic organelles. Some notes on Missouri's nanoalliance. 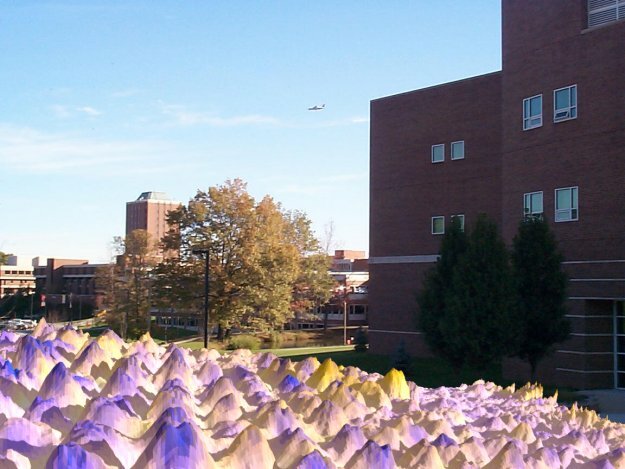 Missouri and the information age's silicon river. Some virtual specimens here and here for up-close examination. 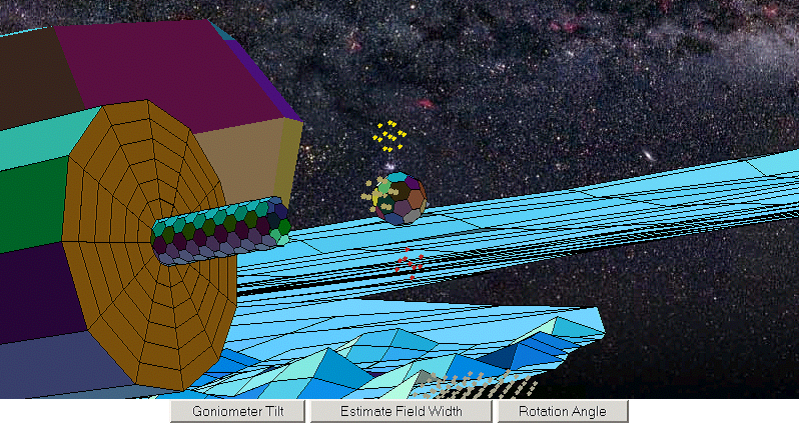 Comparing real data from nanoworld exploration to interactive models. Visualizations on diffraction in action. A more diverse set of LiveGraphics3D exploration tools. A nano-goniometry lab for analyzing experimental data. Some rubrics for scientific interaction. 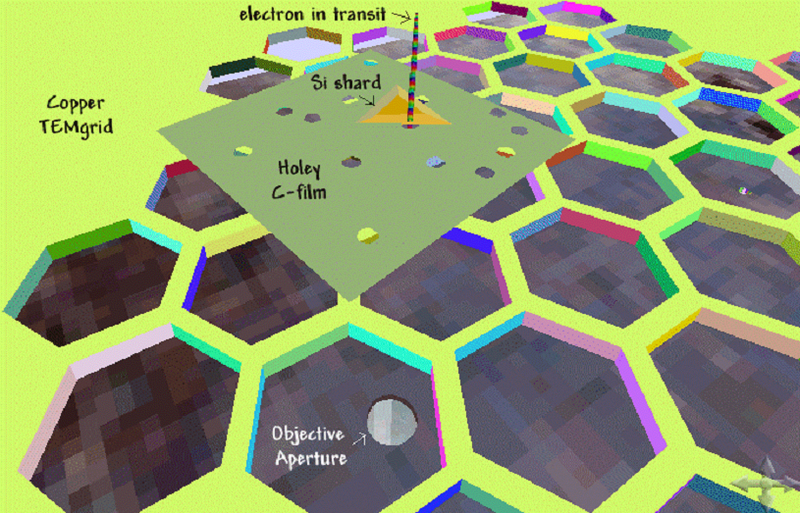 Extreme Physics Lesson Plans - Unit 1: NanoExploration. A 2005 Intro Chemistry adventure at UM-StL. An activity for visiting high school students involving diffraction in space. Modular courses on emergent microscopy and nanoscale science practicals. Notes at the Danforth Plant Sciences Center on visualizing cells. Notes at WU School of Medicine on electron bio-microscopy. Notes at the Missouri Botanical Garden on scanning probe microscopes. Emergent content on everyday science & complex systems. Earlier note for Physics Today. Making quantitative information about risks, and uncertainties, accessible.